On the way home from a conference, Don Piper&apos;s car was crushed by a semi that crossed into his lane. Medical personnel said he died instantly. While his body lay lifeless inside the ruins of his car, Piper experienced the glories of heaven, awed by its beauty and music. 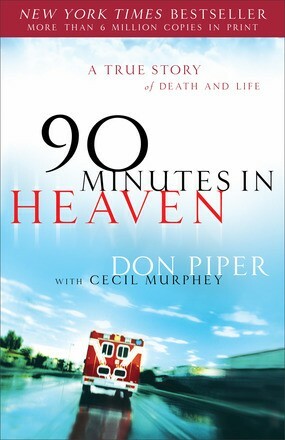 Ninety minutes after the wreck, while a minister prayed for him, Piper miraculously returned to life on earth with only the memory of inexpressible heavenly bliss. His faith in God was severely tested as he faced an uncertain and grueling recovery. Now he shares his life-changing story with you. 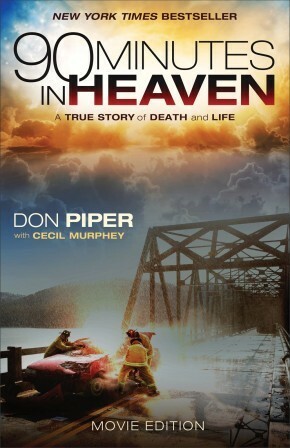 90 Minutes in Heaven offers a glimpse into a very real dimension of God&apos;s reality. It encourages those recovering from serious injuries and those dealing with the loss of a loved one. The experience dramatically changed Piper&apos;s life, and it will change yours too.